Group C comprising of Colombia, Ivory Coast, Greece, Japan is a very geographically diverse group, representing 4 totally different regions. Despite the presence of several talented players, the group lacks World Cup pedigree: None of the teams has made a quarter-final till date. Each team has at least one major weakness, some of which cancel each other out – which means all six fixtures are likely to be good fun. 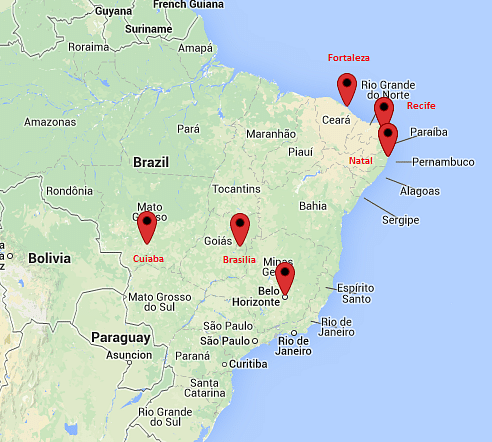 Temperature could be a major factor in Brazil. At the Confederations Cup last year, the intense summer heat was a huge problem for teams from outside South America, with 8 Italian players requesting a half-time substitution against Brazil. That naturally hands Colombia an added weapon. In addition to being the strongest team in Group C, they have already used the weather to their advantage in qualifying, scheduling all their home matches at mid-afternoon in hot Barranquilla. As you can see, three of the venues (Fortaleza, Recife or Natal) are coastal cities, usually warmer and more humid than cities away from the coast. Curiously, all three of Colombia’s venues are in the hinterland (Cuiaba, Brasilia, Belo Horizonte), where the peak daily temperatures are significantly lower. It’s risky to rely excessively on these things, but the cooler weather might level the playing field for their opponents. Colombia have risen from the ‘dark horse’ tag to become one of the main contenders to at least progress to the next round. Boasting a Fifa ranking of fourth at the start of 2014 and carrying one of the most expensive European footballers in James Rodriguez, they are in the competition to prove a point, as they will be making their first appearance in the World Cup after 16 years. Their qualification at this year’s World Cup was no less than a roller-coaster ride. They won nine of their 16 matches to earn the second spot in South America, which included a 4-0 win against Uruguay, who had come into the game on the back of a two-year unbeaten run. But they had to wait till the last game to confirm qualification due to a few underwhelming performances. Their coach, Jose Pekerman, brings with him a variety of different formations, but to varying degrees of success, which makes it very unclear as to how they will line up at the World Cup. For more information, read Columbia Team Preview. Japan didn’t even have a professional domestic league till 1993; now they’re taking part in their 5th consecutive World Cup, having hosted the 2002 edition. It’s been a meteoric rise fuelled by money, foreign know-how and work ethic. While a technically brilliant side, Japan are yet to figure out the knockout stages. Japan became the first team to come through qualifications for the 2014 World Cup with a hope to make it further than their previous best of second round. With 10 points from six games, Japan finished second in the third round of the Asian qualification with Uzbekistan on top. In the final group round of the qualifiers, Japan cruised to the top spot, five points adrift of Australia to book a fifth straight World Cup berth. Italian coach Alberto Zaccheroni has guided the nation to the 2011 Asian Cup glory which helped them secure a place in the 2013 Confederations Cup where Japan were thrashed badly by Brazil, Italy and Mexico.However, they seem to have found good form as a draw against the Netherlands and a victory over Belgium in late 2013 helped them prove their mettle. For more information, read Japan Team Preview. 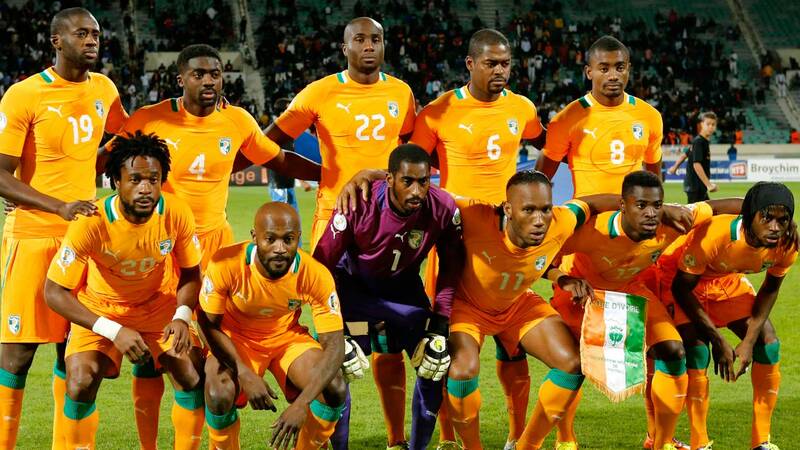 As the highest-ranked African nation, Ivory Coast will arrive for the 2014 World Cup in Brazil with some unfinished business. They suffered first-round defeats to Argentina and Netherlands in their opening matches in the 2006 World Cup, their debut appearance, while 2010 again saw them earning defeat when they drew against a Cristiano Ronaldo inspired Portugal, while suffering a 3-1 defeat against Brazil. This time around, the chances of making it to the second round are higher for the African giants. They will pin their hopes on Didier Drogba, former Chelsea superstar and the captain for this year’s World Cup, while Manchester City’s in-form Yaya Toure will also be ready to achieve victories for his country. One of only two nations to finish unbeaten in African qualifying (the other being Nigeria). They overcame Senegal 5-3 on aggregate in the play-offs. Lille man Salomon Kalou was top scorer with 5 goals. For more information, read Ivory Coast Preview. Greece will enter the 2014 World Cup with a lot of confidence, even though they had to go through the playoffs to qualify. Greece have a very good record of making it to the major tournaments after their surprise win at the European Championship a decade ago in 2004. They made it to the World Cup thrice out of the last four tournaments but only to add to their disappointment by being knocked out in the group stages on all three occasions. Coach Fernando Santos likes to adopt a defensive approach, but a quarter-final appearance in the Euro 2012 means his strategy has had a considerable amount of success. Under his command, Greece will try to carry their pre-World Cup confidence to render a bold approach towards the tournament itself. Greece’s star players Giorgos Karagounis (captain) and Kostas Kastsounaras, who holds the record for most caps, are again expected to deliver for the nation after appearing in all the qualifiers. The Greeks are classic underdogs – lacking any real stars, but with fantastic team spirit. They will need it in spades if they are to get a whiff of the knockouts in Brazil. For more information, read Greece Team Preview. Colombia vs Ivory Coast on 19th June. These two are the strongest sides on paper, and the difference in style – a typically Latin American, free-flowing side against a physically strong African side – should make this an interesting contest.. 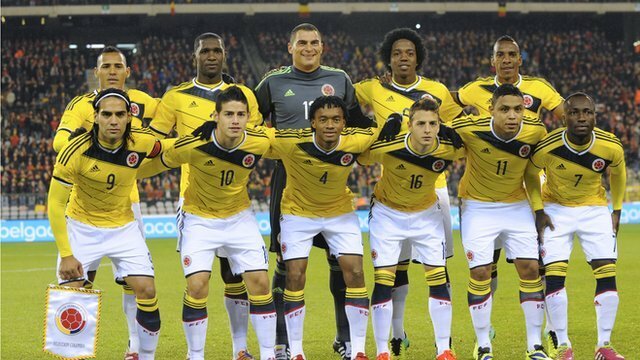 Even without Radamel Falcao, Colombia have the sheer quality to force their way into the knockouts. But their defence lacks pace or ability, and this could be exploited by the likes of Drogba and Yaya Toure. Ivory Coast’s main problem is age – at 29, Kalou is the youngest survivor from the golden generation. Yaya Toure has had a great season with City, but a knee injury could keep him out of their opening fixtures, and that could prove vital if Drogba – in the twilight of his career – fails to deliver. Greece are the worst side technically and creatively, while Japan are perhaps the best on both counts. If results were determined by visual appeal alone, both would hold very different FIFA rankings! Japan lost thrice at last summer’s Confederations Cup and lack a good striker, which could be their undoing against packed defences like Greece. While Shinji Kagawa and Keisuke Honda flourished as central attackers, both have struggled out wide since joining Manchester United and AC Milan respectively. This tournament provides a good chance for them to remind the world of their abilities. Groups of Death are passe. Group C could be the first ever Group of Underdogs: 4 teams with a lot to prove, but none good enough to last the distance. The relative lack of World Cup experience makes predictions difficult, though. Nevertheless, here’s my attempt. If you disagree with the order suggested – you can see the comments section below, and you know what to do. A toss-up between Manchester United’s Shinji Kagawa and AC Milan-bound Keisuke Honda. In his preferred No10 role, Kagawa will have the chance to show why there has been such a clamour in certain quarters for his inclusion in the United side. Kesuike Honda can be outspoken at times. 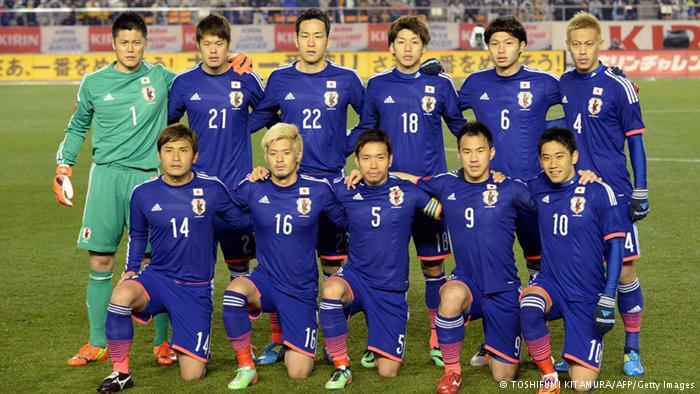 With the pressure on this Japan side, if things don’t go their way Honda may have his say. Italian coach Alberto Zaccheroni took over after the 2010 World Cup and led Japan to the 2011 Asian Cup title. Three defeats in the Confederations Cup last summer raised questions about his tactics. 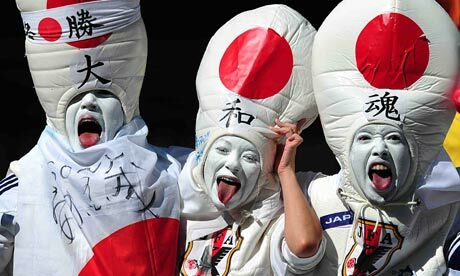 Last year Japan beat South Korea 2-1 in the East Asian Cup final. Highlights included South Korea fans displaying a banner reading “the nation that forgets history has no future”, Japan’s sports minister Hakubun Shimomura saying the behaviour called into question “the nature of their people”, and South Korea’s government calling him “rude”. A semi-final in Brazil would be tense. The Spa Sport Resort in Itu, outside São Paulo – one whirlpool bath per player. Recife, where Japan play their opener, is a 1,622-mile stone’s throw away. “It was hard to decide,” Zaccheroni said, “whether to base ourselves in a warm place [like Recife] to acclimatise, or in a nice cool place for training which would mean three-hour flights every five days. I chose the latter. This is a peaceful place, in the suburbs. The food is good and there’s lots of green”. The first team to qualify for the World Cup way back in early June. Lost just once (away in Jordan) on their way to finishing four points clear of Australia. The noise that followed goals from Takayuki Sazuki and Junichi Inamoto in their first game of the 2002 World Cup on home soil. The match ended in a 2-2 draw against Belgium but Japan had arrived. Japan had set themselves a target of reaching the semi-finals but defeat on penalties to Paraguay and last-16 brought an abrupt end to that particular dream. Maya Yoshida (Southampton), Shinji Kagawa (Manchester United). Diminutive bundles of energy who never give in but will ultimately come up short against physically stronger opponents. On their day they are a skilful, pacy and attacking side – the footballing hipster’s choice. Expect to see their shirt being worn in East London bars. Sazare of stone. The become Iwao. Until the eggplant Moss. The shortest anthem of all. Blink and you’d miss it. Women dress as geishas, men as sumo wrestlers. Everyone carries hand fans. Crank the enthusiasm up to 11. Japan have been invited to play at the 2015 Copa America. They played in the South American championships once before -1999 – and failed to win a game. No wonder they’re invited back.